Bingo Irish has a Celtic themed website that’s green and bright. Well, it wouldn’t be Bingo Irish without some kind of Irish reference going on. When you land at Bingo Irish you’re instantly welcomed with the exclusive bingo offer, you can’t miss it because it’s the only thing on the screen. Once you’ve signed up and deposited, you will find the bonus funds in your account. The bingo lobby allows you to see what kind of games are on offer, when they are being played, the ticket costs and prizes plus the number of bingo players in each room. You can even pre-buy tickets to upcoming games. 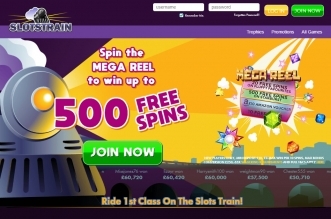 Enjoy an exclusive 400% deposit bonus when you join Bingo Irish through WhichBingo. Deposit £5 and you’ll get £25 to play. Just pop our exclusive bingo code in when you join: WBXPB2*. Maximim bonus available with this offer is £20. 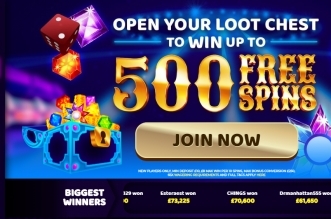 Newbies are invited to play in the free bingo rooms, without making a deposit. Bingo wagering requirement: 6x the deposit and bonus received. Slots wagering requirement: 80x the deposit and bonus received. Help room. It’s not a private chat between you and a support representative, it’s an open room with other players, and you have to post your query and wait your turn. Email: via on-site form. The support team will aim to reply within 72 hours. No Lose Bingo is the promotion that sees Bingo Irish refunding you if you lose. Games take place every Tuesday from 7.30pm until 8.30pm and it’s worth £200. 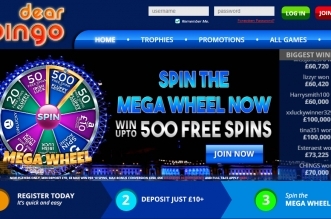 It’s an exclusive room only available to bingo players on the Excellent Promotions Network. 10 games will be played within the hour, and each game is worth £20. At the end of the hour, Bingo Irish will calculate the exact amount of cash you staked and the amount you may have won. If you have lost, you will be refunded the difference. Penny Bingo is rolled out at 6pm until midnight, every single day. There will be five winners in every game, as it’s a 5 line bingo game. There may even be rewards for players waiting on one and two to go. In May 2016 Bingo Irish player Mybabyvinnie scooped £30,000 from their Big 200k Game and a further £21,000 after one big lucky spin on the Starburst slot game. The VIP Manager of Bingo Irish travelled across the country to Leicester to celebrate this huge win with the player. After having a good old chinwag, the lucky player revealed what her big win will be spent on – and has she got some plans! Mybabyvinnie has a sunny holiday in the pipeline which she’s treating her family to. With this being their first time abroad, they couldn’t be more excited, and it’s all down to this one big lucky win! The player treated her mother to a new sofa too! Not only that, the player’s son is turning 18 this year, so you can bet this is something he’s looking forward to as well. Mybabyvinnie also has a very special bond with one of the other players on Bingo Irish. The pair often play across 888 sites and don’t tend to play without the other, which is a really special thing to develop from a shared fondness for online bingo. They’ve decided to get together this summer for the first time in real life to celebrate the big win. What a great way to take this blossoming bingo friendship to the next level. On that note, we’re definitely going to be playing for fun tonight! You never know, you could be sipping cocktails in the Maldives this time next week with your own big win. Bingo Irish can be played out and about, via a mobile or tablet. No downloads or apps required, just a good internet connection. The promotions that are on the main site, are also available on the mobile site, so you don’t miss out.